From being declared one of the 100 most endangered sites in the world in 2005, the historic non-Catholic cemetery in Rome has been restored thanks to a tiny but dedicated group of specialists supported by a network of friends. It’s a great example of professional and voluntary self-activity protecting cultural heritage. An exhibition celebrating 300 years of this unique burial ground now offers a chance to reflect on a history that has evolved to include an exceptionally talented and diverse population of souls. As one Italian journalist has noted, it is like Facebook, a place to discover and be re-united with long-lost kindred spirits. The works in this exhibition are intensely symbolic of intertwined stories of international artistic friendships, reflecting of the unique nature of this place. Originally, those whose mortal remains were interred here simply happened to die in Rome. They were wealthy tourists on the Grand Tour, diplomats or their children. Many were professional artists, architects and sculptors from northern Europe, drawn by Rome’s artistic heritage. Only Catholics could be buried in official grounds and so a separate place had to be found. A drawing from 1795 records the moment when German art critic Karl Ludwig Fernow delivered a night-time eulogy to the artist Jonas Åkerström. That funeral was organised by Francesco Piranesi, son of the famous etcher, who was also the official representative of the Swedish Crown in Rome. 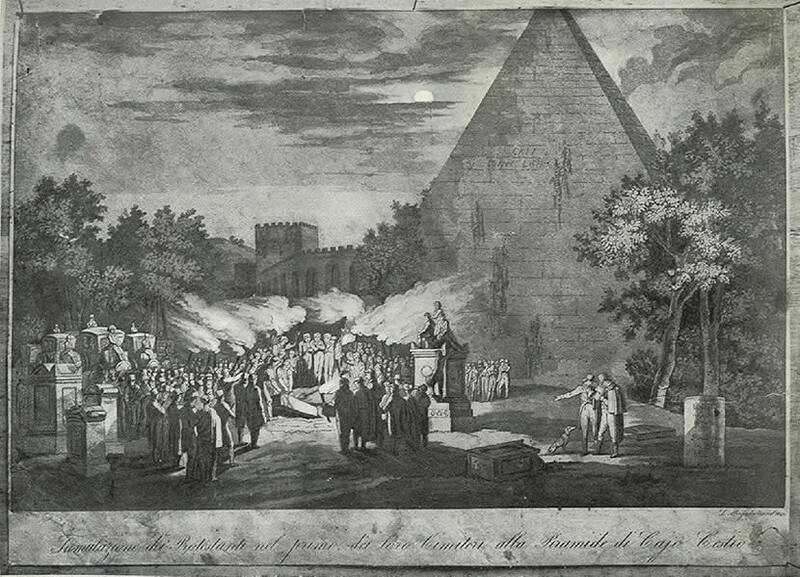 Thanks to a dispensation by Pope Clement XI in 1716, communal pasture land around the Roman Pyramid became a semi-official burial ground, where Scots, English, French, Scandinavians, Swiss and Germans were interred at night by torchlight. In centuries to come, they were joined by spiritual asylum seekers from around Europe, Russia, and even Japan. Eventually dissident thinkers, gays, Jews and Marxists, including Antonio Gramsci joined their ranks. Anchored by the marble-faced 30 metre high pyramid, artists went beyond simple description of the funerals to capture the unique spirit of the place. The pyramid appears in nearly all of the 40 works assembled from around Europe and America. Erected for a Roman magistrate around 20 BCE, it predates the Aurelian wall around it. In the collective cultural memory it became a romantic symbol, especially after the premature deaths of Keats, Shelley and Goethe’s son Julius. Pictures were often commissioned by bereft loved ones. The scenes were set within the Roman walls or in the wider setting of the Roman countryside. Casimir Griswold’s beautifully-lit view, for example, captures the serene surrounding atmosphere that prevailed in 1879. In 1862, a young American artist, John Linton Chapman, made a touching diptych of Shelley’s and Keats’s gravestones, overgrown by flowers and weeds, with only clouds and sky as a backdrop. The painter was introduced to Keats’s beloved sister Fanny who commissioned an etching of it. A decade later, English socialist illustrator, Walter Crane, on an extended honeymoon in Rome, was commissioned by fellow artist, George Howard, to depict Keats’s and Shelley’s graves. 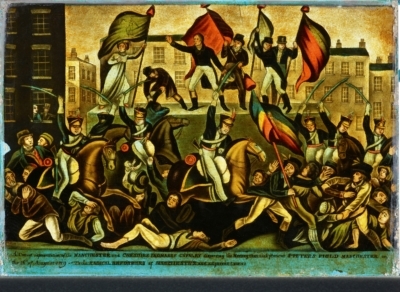 His two superb watercolours have travelled from the Ashmolean Museum to join Chapman’s and William Bell Scott’s majestic rendering of Shelley’s tombstone, with its moving inscription, Cor Cordium (heart of hearts). 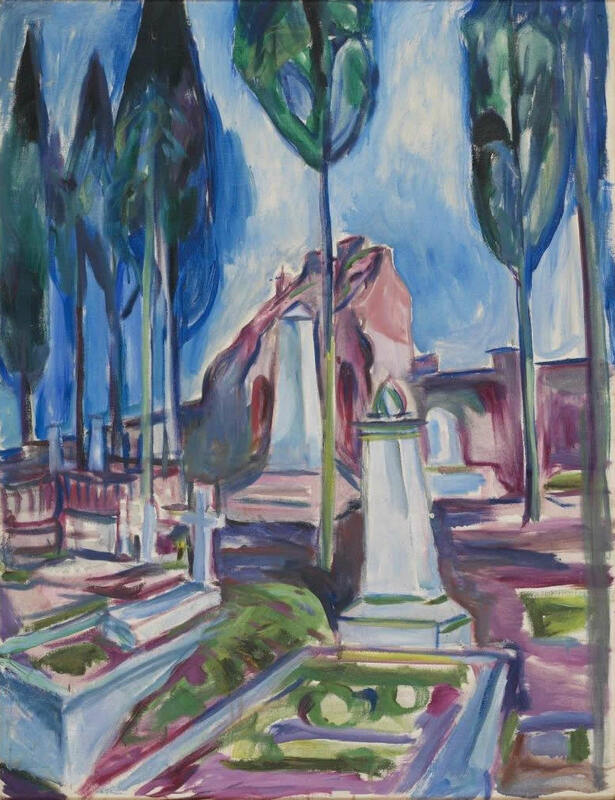 The last work in the show is an exceptional loan from Oslo, a brightly-lit rendering of Edvard Munch’s uncle’s grave from 1927. As Oddbjørn Sormøen notes, the atmosphere is tranquil, “a world apart from the young Munch’s traumatic scenes of sickness and death in his own close family”. The cemetery has worked its magic even on the painter of The Scream. The exhibition was conceived and executed by curator Nicholas Stanley-Price, Maria Gazzetti, cemetery director Amanda Thursfield and, as well as, initially, by the late Julian Kliemann, to whom the splendid catalogue is dedicated. It is published in English, Italian and German and can be purchased online. 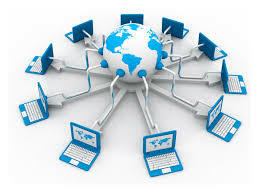 The cemetery also maintains a Newsletter which can be accessed online. The cemetery remains an active graveyard. But it is not so much a place of mourning as of contemplation. Its cypresses, protective walls and varied flora offer a quiet green space, open free to the public. 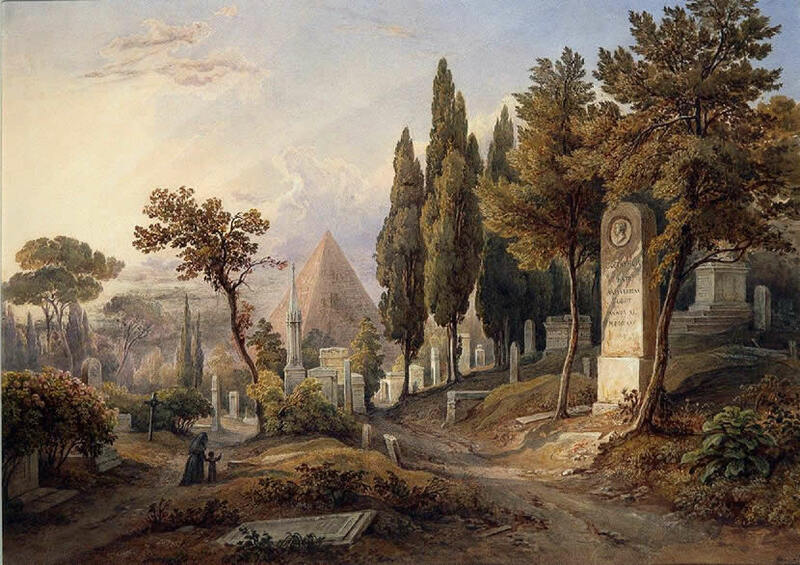 At the foot of the Pyramid: 300 years of the cemetery for foreigners in Rome. By Nicholas Stanley-Price, Mary K. McGuigan and John F. McGuigan Jr. Edizioni AsKI e.V. / Casa di Goethe / Non-Catholic Cemetery in Rome.